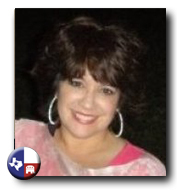 Michelle Lancaster is politically active as the State Coordinator of Texas Smart Girl Politics, in which she coordinates Texas Town Criers and Texas District Coordinators in their actions to restore Republican values to Texas. She also has her own blog on Smart Girl Politics. Michelle Lancaster also works as a National Accounts Manager and is a member of the National Rifle Association. Michelle Lancaster lives in Houston, Texas. You can follow Michelle on Twitter.